[introtext]The Media Center is a place to fulfill your dreams, have creative fun, and get your message out to the community. You can either get training, borrow equipment, and use our facilities to craft your own videos, or hire our Pro Services department to produce your video. We have digital video cameras, digital editing systems, a high-tech studio and control room to make available for your projects at nominal, subsidized rates. No experience is necessary. We offer workshops to teach you how to operate all of our equipment. Come to a free Orientation. to get a tour and answers to all your questions. There are numerous program styles and Media Center resources to create them. The easiest way to produce a show is to sign up for the ìAuto-Pilot Studioî. You have up to a half-hour to state your views, make an announcement, etc. in front of a stationary camera. You can even have music in the background. Call 494-8686 to make a reservation. The cost is $25. For those who want to record and play back lectures, sports events, meetings, performances, etc., there are camcorders available for lending and edit suites where you can superimpose titles or trim your footage. The Media Center runs frequent workshops in field production and editing. You can also recruit volunteer videographers and editors to help you, from our list of previous workshop graduates. If you would like to set up a roundtable discussion, a poetry reading, a candidate debate, a town meeting, etc., then you can recruit a crew (8 persons) from a list of volunteers, and reserve the studio. A 2.5 hour block in the studio costs $50. If you would like to produce a monthly, or a bi-weekly program, then you must recruit your own crew. The Media Center will provide training for you and your crew, and give you a regular studio production slot. 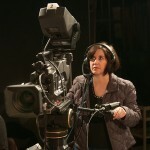 A studio crew requires between five and nine persons depending on what type of production (how many cameras; whether you are taking calls etc.) 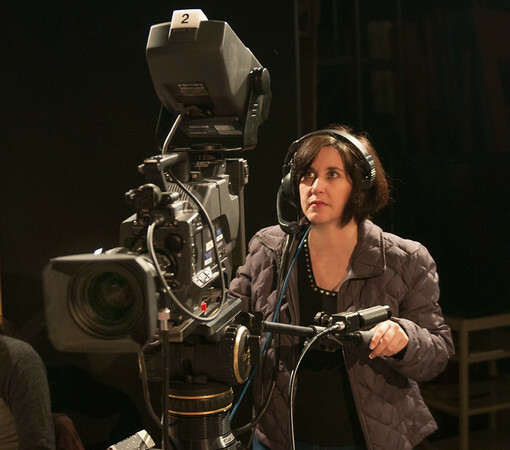 You can also recruit crew persons from a list of those who have taken a Media Center studio production class. Refer to Studio Producer Tips for additional guidance. These productions involve a number of shoots (to acquire different interviews, scenes, visuals etc.) and subsequent editing. Editing these more complex pieces usually involves narration, sound mixing, and sometimes animation work. It will require a longer commitment – perhaps 8 hours per week for several months. Contact our Professional Services Department if you want to hire the Pros to produce a video. We provide a free estimate. Weíd love to hear about your goals.